"We must relinquish the desire to own other people...."
At meeting for worship on Sunday Friends in Lewes heard parts of Quaker Faith & Practice 24:10 during ministry. The statement is reproduced in full below. We totally oppose all wars, all preparation for war, all use of weapons and coercion by force, and all military alliances: no end could ever justify such means. We equally and actively oppose all that leads to violence among people and nations, and violence to other species and to our planet. We will struggle to remove the causes of impasse and confrontation by every means of nonviolent resistance available. 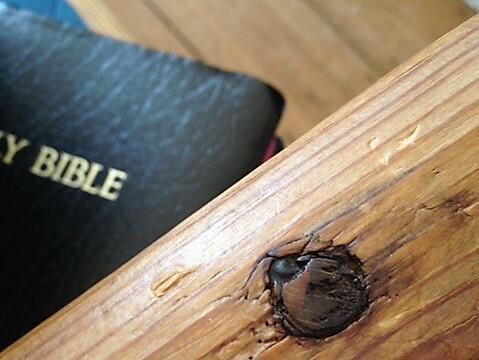 We urge all New Zealanders to have the courage to face up to the mess humans are making of our world and to have the faith and diligence to cleanse it and restore the order intended by God. We must start with our own hearts and minds. Wars will stop only when each of us is convinced that war is never the way. The places to begin acquiring the skills and maturity and generosity to avoid or to resolve conflicts are in our own homes, our personal relationships, our schools, our workplaces, and wherever decisions are made. We must relinquish the desire to own other people, to have power over them, and to force our views on to them. We must own up to our own negative side and not look for scapegoats to blame, punish, or exclude. We must resist the urge towards waste and the accumulation of possessions. Conflicts are inevitable and must not be repressed or ignored but worked through painfully and carefully. We must develop the skills of being sensitive to oppression and grievances, sharing power in decision-making, creating consensus, and making reparation. In speaking out, we acknowledge that we ourselves are as limited and as erring as anyone else. When put to the test, we each may fall short. We do not have a blueprint for peace that spells out every stepping stone towards the goal that we share. In any particular situation, a variety of personal decisions could be made with integrity. What we advocate is not uniquely Quaker but human and, we believe, the will of God. Our stand does not belong to Friends alone – it is yours by birthright. We challenge all New Zealanders to stand up and be counted on what is no less than the affirmation of life and the destiny of humankind. 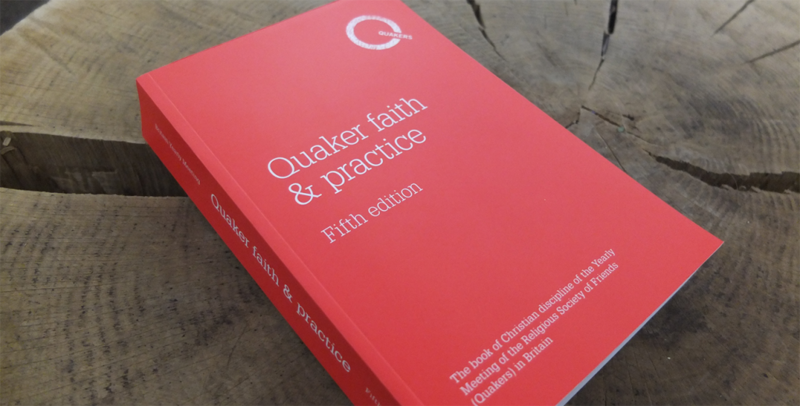 If you would like to explore more of Qf&p, an on-line version of the book can be found at www.qfp.quaker.org.uk. This month’s special collections in Lewes Meeting are for Quaker Social Action. My first contact with this organisation was when I was a child living in the Buckinghamshire country village of Jordans. Once a year our Meeting would host a visit from a group of children from the Hoxton area. We would organise games on the village green and provide a home-made tea. A day out for children from a deprived part of London. Something of a culture clash for me and the sheltered children of our Meeting to see different clothing and hear different accents (and probably a new vocabulary). It may sound patronising, but these and the return visits gave us a brief glimpse of the East End and its problems. They must have helped make me aware of my privileged position. I couldn’t escape that then and I still can’t. 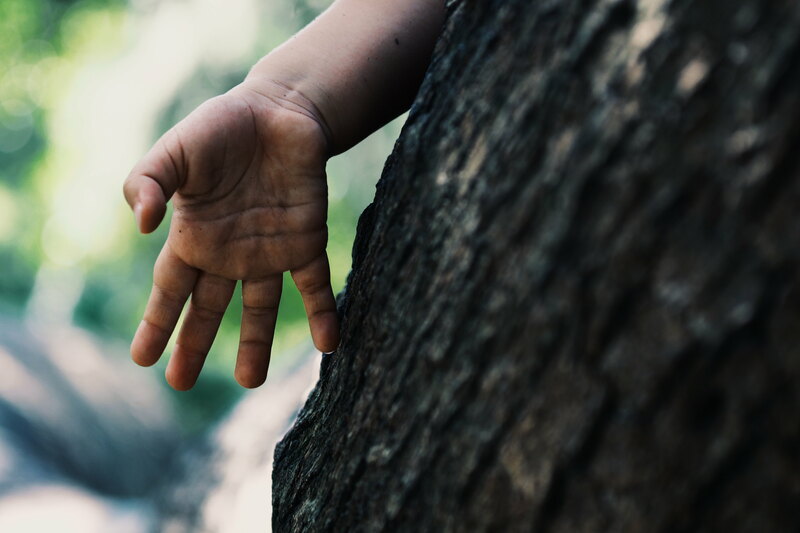 Privilege is the theme of the Yearly Meeting in London in May this year of Quakers from all over the country – it will be interesting to see what we make of it. In those days Quaker Social Action went by the name of The Bedford Institute. The excellent website www.quakersintheworld.org says that “The Bedford Institute Association was created out of three earlier Quaker organisations for the, “Education, Religious Effort, Moral Training, and Relief of the sick and destitute,” in the East End of London. Its name commemorates Peter Bedford, a Quaker silk weaver from Spitalfields, who formed the Society for Lessening the Causes of Juvenile Delinquency. This, together with a Working Men’s Club and First Day (Sunday) School became the Bedford Institution Association in 1867.” I’m glad we don’t use such titles nowadays but the work itself remains highly relevant to the communities within which it is still located. A few years ago I heard the dynamic Director of QSA, Judith Moran, speak about its current work. She got us doing one of the exercises used in their ‘Made of Money’ programme which helps people gain better financial control of their lives. We had to shuffle cards on the floor to prioritise various uses of money. We did not agree but we were made to think and to open up on areas that are usually kept private. QSA seems to have the ability to spot the issues that need addressing at the present moment and make a constructive response to them. I’m glad it’s been chosen for us to support. 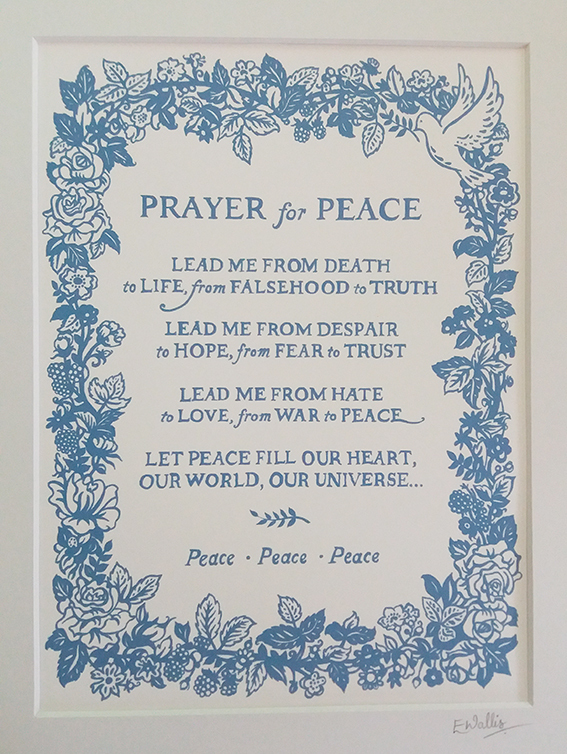 As Quakers we have long worked for peace and equality because of our belief that there is that of God in everyone, everywhere, whoever they are. Through Quakers’ longstanding work welcoming newcomers to our shores, we have seen up close that the government’s creation of a ‘hostile environment’ is increasingly embedding policies of discrimination into the practices of the British state. Quakers in Britain are committed to working with others to change this, creating a culture of compassion and welcoming hospitality that answers that of God in every person. Our Meeting for Sufferings was born of a response to the government’s systematic discrimination against Quakers in the past. Today we turn that experience into solidarity, and stand against all oppression and suffering. We declare our determination to work for sanctuary everywhere, including here in Britain, by agreeing this Manifesto for change. Human rights standards for all should be the foundation on which any national policy or international agreement on migration is founded, and these include the right to work, to learn, to housing, to medical care and to security in the event of adverse circumstances beyond personal control. We will campaign for change to the asylum process so that it is built on a culture of compassion and practical response, rather than starting from an assumption of disbelief. Within the UK system of immigration detention is institutional violence and discrimination. We oppose indefinite detention, which we believe neither right nor necessary, and will work towards the closure of all detention centres. Other more humane policies are more effective and should be introduced. Our belief in every human being’s equality leads us to oppose unjust deportations and removals, whether to the EU or to the wider world. The humanitarian risks of trafficking and unsafe passage lead us to work for new, peaceful, safer routes of migration including the introduction of humanitarian visas and improved rules for family reunion. Regional Meeting seemed like a golden opportunity to find out more about the concept of Sanctuary. Chichester Meeting is part of the wider ‘City of Sanctuary’ movement and Quakers there are starting to get involved. The speakers for the morning were experienced in offering support to refugees and asylum seekers. They are not Quakers but their approaches are closely related to Quaker objectives and principles. Michael Woolley is Chair of Friends Without Borders (Portsmouth). He started with the data: 66 million people in the UK, 36 million tourists each year, 230,000 immigrants last year, 26,000 of whom are asylum seekers. Of these, 8,000 would be accepted. Of the rest, around one third may be deported . Others remain here, but without money or housing and they are not allowed to work. Some will be accepted on appeal. Some will end up in prison. Getting discretionary right to remain is expensive and difficult; it nearly always requires a legal appeal and takes a long time. We were told that the Home Office is keeping torture victims in detention, sometimes despite the authorities’ having accepted evidence of their torture. Portsmouth has 200 asylum seekers, being housed in neighbourhoods where housing is cheap. Friends Without Borders have around 20 local volunteers who visit and provide advice, helping in practical ways, sometimes with money; some run a café while others are able to provide evening classes in English. Other volunteers may provide temporary accommodation for those who are homeless. Friends Without Borders offers a free legal advice service. Others spoke of their work with Syrian refugees. The 20,000 Syrians accepted by David Cameron and brought directly from refugee camps to the UK over a 5-year period, get much better treatment. They receive homes and support and they are allowed to access education and to work. In the afternoon, Tatiana from Friends House spoke to us about the importance of changing the ‘hostile environment’. Throughout the day I was reminded of the importance of joining forces with other local organisations. It not easy for small groups of people to make a difference. But if we can find out what the needs are and work together with other organisations, more can be achieved. A good way to start might be to find out how LOSRAS has supported the volunteers who visit the Gatwick detention centre. Sanctuary involves a serious commitment but it may be possible to do something by collaborating. Find out more by going to https://www.quaker.org.uk and search for content on Sanctuary. Lewes Quakers have been thinking about the challenges that face people trying to find a home of their own and adopted local charity Homelink as the good cause to support during March and April. One of the biggest challenges for those seeking rented accommodation is having sufficient cash for a deposit. Those renting accommodation generally need to stump up £1,000 or more for the deposit and rent in advance on a rented home and failure to access sufficient funds keeps people homeless. Homelink provides a critical service to people in the Lewes area by offering loans for this purpose which can be paid back gradually. Lewes Quakers have been fundraising for Homelink, making an appeal each Sunday and putting on a couple of special events. One of our friends Ray Maw sold some beautiful pots he’d made in aid of the charity. Then on Sunday 15th April a “souper lunch” was held. The lunch included home-made soup, bread and cheese which were provided by the Needlemakers circle group. This raised £137 towards our Homelink appeal which closes at the end of April. The children got involved too. 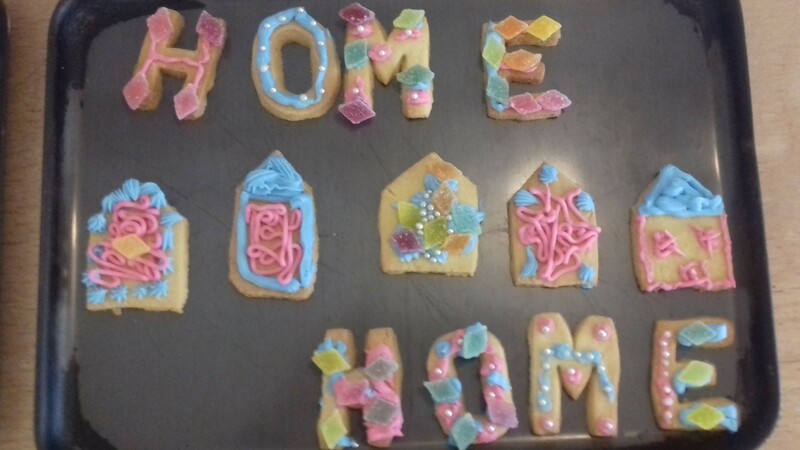 After hearing about Homelink’s work they decorated biscuits and sold these as part of the lunchtime appeal. The total raised in this appeal will be announced in May. Robin Hood, Robin Hood, and His Merry Men . . .
On 27th January young Friends and their families attended a matinee performance of “Robin Hood” at the Little Theatre in Lewes. Castle Circle arranged the outing, which was well attended by Friends from across the meeting. This marks the third year a family trip to the theatre has been held, and a good time was had by all. Trips to the Little Theatre rose out of the need to gather the families of Castle Group for a shared experience. Pastoral care is shared across the meeting in different geographical circle groups, and the idea was well received: to take the children to a play and then to tea at the meeting house, with the help of other Friends to set up, buy pizzas and release parents to enjoy time with their children without the need to cook a meal afterward. Many thanks to all Friends who helped make this event a success. “In turbulent times: be a Quaker.” This is the theme of national Quaker Week in 2017, running from 30 September – 8 October. Every autumn Quaker meetings across Britain celebrate Quaker Week, offering everyone a chance to focus on welcoming newcomers and helping people discover more about the Quaker way. This work is supported by a central campaign which this year includes social media posts, press coverage and online adverts. Look for the hashtag #QuakerWeek on social media platforms. Lewes Quaker Meeting will host “A Taste of Quaker Silence” on 30 September. Participants are invited to arrive from 9.45 for a 10 a.m. start. Brief descriptions of what happens are followed by short periods of silence, introducing such terms as “hearts and minds prepared”, “centring down” and “gathered meeting”. The meeting will end around 11 a.m. after which there will be time to ask questions and offer comments. However long any of us has been attending, there is always the possibility of taking a fresh look at what goes on in a Quaker meeting. Anyone who is curious to know about our method of worship is welcome to come along and find some answers to their questions, or join us in seeking greater clarity in the stillness. Jim Pym, in his book Listening to the Light, has a lovely phrase: “If we are able to listen, we will find that the silence is by no means empty. 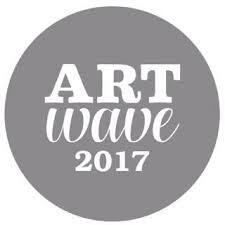 The Artwave Festival takes place in the Lewes area every year during the week either side of the August Bank Holiday. Artists and makers open up their studios and houses, or get together in groups to exhibit their work. A group of members and attenders transform some of the rooms at Lewes Friends Meeting House each year over the August Bank Holiday weekend to exhibit paintings, drawings, ceramics, quilts and prints, etc.. Some of this work is offered for sale. There is always a welcome for people in the Meeting to join us, if they have artwork or made objects they would like to put on display. As well as giving an opportunity to show work, the occasion is also a major Outreach event, as many of the visitors show an interest in the old Meeting House, and this sometimes leads to discussions about the Quakers and our Meeting. Brochures with details of all the exhibition venues in the town and the surrounding area are available from the Lewes Information Centre in August. For further information about our exhibition contact John Fisher at overtownborn@btinternet.com or phone 01273 472529. Spread the wealth through a fairer tax system. More homeless shelters; help homeless people. Back to basics: knitting dresses, etc. Put a UN building in every country’s capital. More homes & a fairer housing system. More investment in emergency services. No hate laws / tolerate difference. Every town must have higher energy efficiency. Invest in people with disabilities and learning difficulties. Make big companies pay big tax. Make sure your vote counts. Target overseas aid to poorer parts of the world. The manifesto can be seen pinned to the board in the children’s room at the meeting house. On Sunday we were told of a sponsored walk taking place on Sunday 30th April in aid of refugees. This is the same day that Needlemakers Circle are organising a walk to Glynde. It is also the week before the children’s choice of “Good Cause” for May, which is the Refugee Council. We therefore thought it would be appropriate to suggest that Friends who join the Circle walk might like to get sponsorship in aid of the Refugee Council. Any money raised will be added to the month’s collection. The route is not suitable for buggies, but families with young children might like to walk a mile or so, then join us for tea at Glynde by train or car. Catering for Regional Meeting in March brought to Friends’ attention an imbalance in stocks of crockery and cutlery in the kitchen. 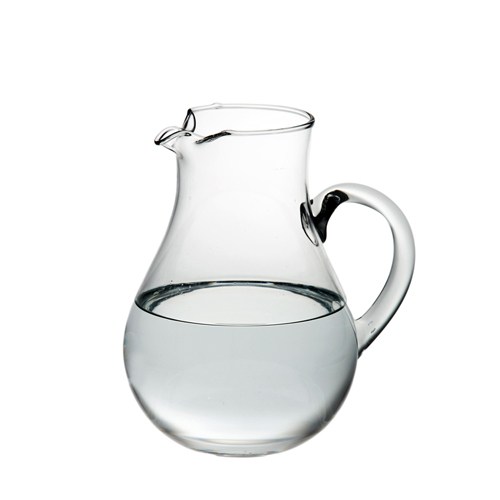 Although we have a large number of vases, there is only one small water jug remaining. It seems breakages have caught up with us! In addition, although there are dozens of small plates, there are not enough large dinner plates to go around at events the size of Regional or Area Meetings. Therefore, it would be helpful if Friends could make donations of both water jugs and dinner plates to the kitchen. Please trawl through cupboards at home, or visit charity shops to make some inexpensive purchases for the meeting house, if you can. Simply leave contributions on the side in the kitchen, with a note attached to say it is a donation and does not need to be returned. As resident Friends, Chris and I have decided to put on film nights as a way to get together with people from meeting, to hopefully spark interest in a topic and get people thinking. We wanted to show films that are related to concerns of people in meeting, but which are also uplifting. So much of what is in the media is gloomy at the moment, and it can be very easy to feel helpless in the context of what is going on around us. However, films can inform, uplift, give hope and hopefully lead to action. The first film we showed was This Changes Everything, based on Naomi Klein’s book of the same title. The film is about climate change and those perpetuating it – the fossil fuel industry and government lobbyists, for example. But it also documents the international movement that is coalescing around this struggle by people on the front line; from air quality campaigns in China to local people fighting to keep their land in India. It was inspiring to see the scale of this movement and the ferocity of opposition to climate change. Hopefully this film showed people that all climate action, however small, is important, and is part of a global movement for change. The next film we are planning to show is Tasting my future, which was voted Best Documentary Feature Film in the 2015 Chichester International Film Festival. It features women who faced conflict and persecution in their home countries – Iraq, Syria, Egypt and Ethiopia – and who now live in Brighton and Hove. Although the women are all from very different backgrounds, they share a love of food and cooking together. We discover the women cooking a feast together in Brighton, and it is one of food, laughter and story telling. “When I feel sad, I do some cooking. When I feel happy I do cooking and make everybody happy with me” says Reem. Tasting my future will be shown at 7pm on March 24th at the meeting house. 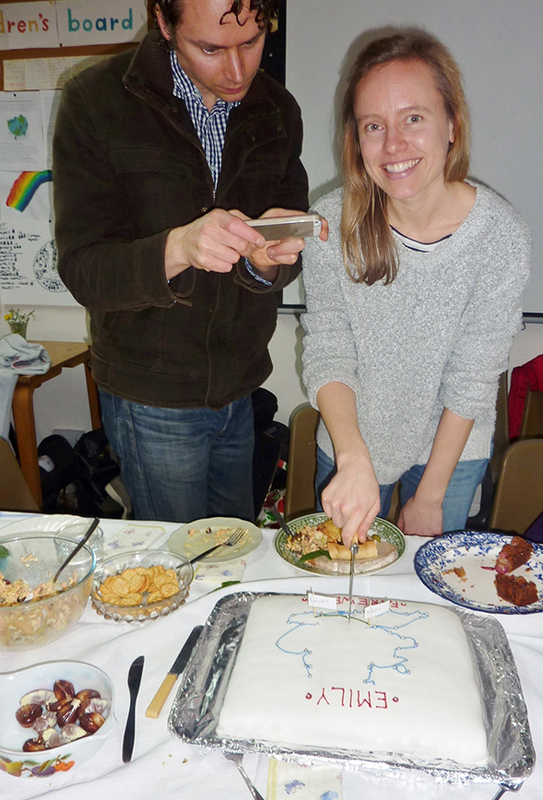 On Sunday 19 February we said goodbye to our children’s worker Emily Wallis in our traditional way with a shared lunch. For the last three years or so Emily has been with the children each week, supporting them and the leaders and helpers with all kinds of activities. She has achieved great success professionally too, with her illustrations being used in various books and her series of dot to dot books for adults published by Macmillan. Now she and husband Lewis are moving to Wells in Somerset and we wish them well in their new home. We gave Emily a scrapbook of photos and artwork by the children and others, and she gave us two beautiful pieces of her work, which will be hung in the entrance lobby and children’s room. We welcome our new children’s worker, Mary, and look forward to her being a part of our children’s meeting. On 18th December the children joined the adults for our all-age Christmas Meeting. We were delighted to see so many friends and children, including our two youngest members, Athena and Iris, 6 weeks old, who joined us for the first time. The theme of our Meeting for Worship was Light and some of us came dressed in wonderful sparkly, star-studded clothes. 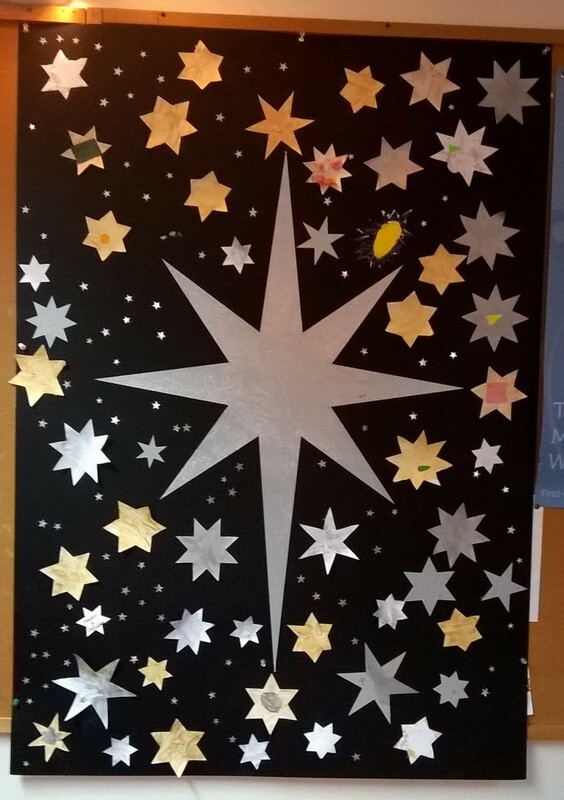 The children had spent the previous two weeks thinking about Light at Christmas and painting the Christmas Star and lots of smaller stars. During the Meeting they gave the stars to each of the adults, who were invited to write the name of someone they wished to hold in the Light, or a thought about Light, on the back of their star. The children then stuck the stars around the Christmas Star, making a beautiful picture of the night sky over Bethlehem. on the way to Bethlehem, the star. hurrying at the invitation of unprecedented burning. Then spake Jesus again unto them saying, I am the light of the world. He that followeth me shall not walk in darkness, but shall have the light of life. Other Friends talked about how sad they felt thinking of the children of Aleppo and how they wanted to hold them in the Light. We lit lamps the children had made and put them around the star, then sang “Twinkle Twinkle” and “O Little Town of Bethlehem” to end our Meeting. When Friends look at our picture, I hope they will remember all the names and thoughts written on the stars and hold the Light of Christmas in their hearts. While many of the creatures that live in our garden will hibernating for the winter (taking the walnuts from our tree with them! ), the gardening group at the meeting house has been busy. 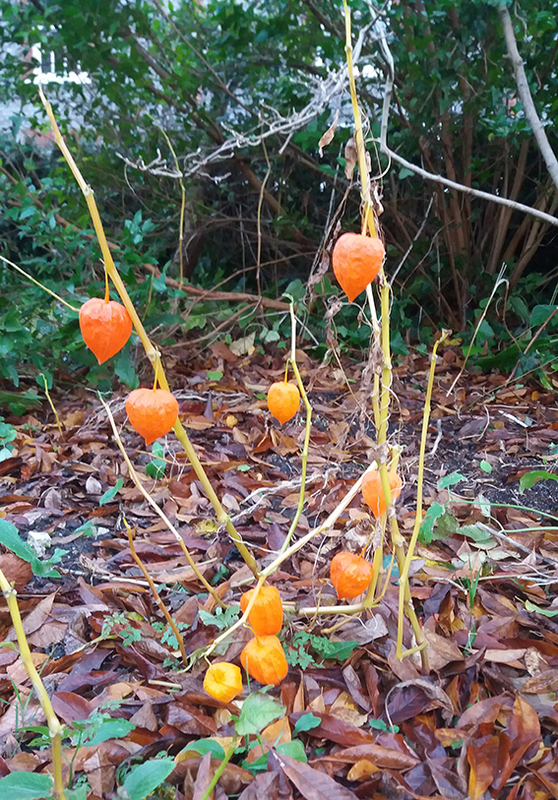 With all the clearing of beds, mulching and the last weeding of the year, Ann, one of our extremely knowledgeable gardeners, rescued a Hawthorne sapling from by the stone wall and has moved it to the front of the garden where it will thrive in the future. 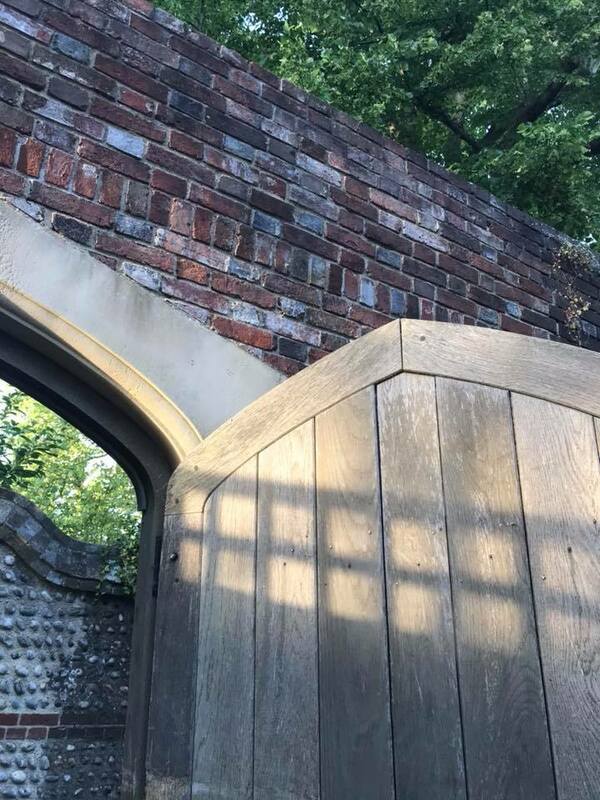 The leaves are nearly all gone from the trees now, but they will turn into leaf mould in our new leaf mould frame, and will provide excellent compost and mulch over the coming months. You may have been wondering what this curious looking structure that has recently sprung up is. It is a bug hotel, created as a habitat for the beneficial insects in the garden. These insects, such as ladybirds, bees and lacewing, munch on the pests such as aphids that we want to keep away from our plants. 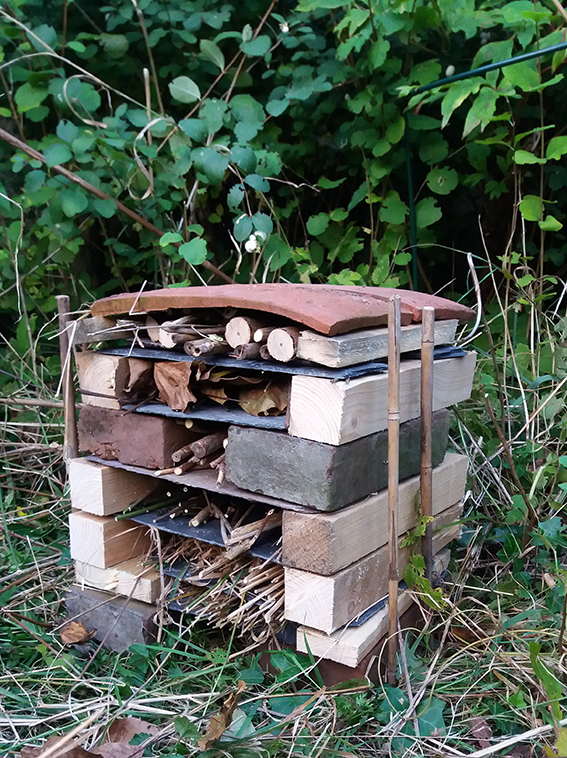 Built with wood and dried grasses from the garden, plus discarded bricks and slate, bug hotels are a great way to encourage biodiversity and reduce pests without having to resort to chemicals. 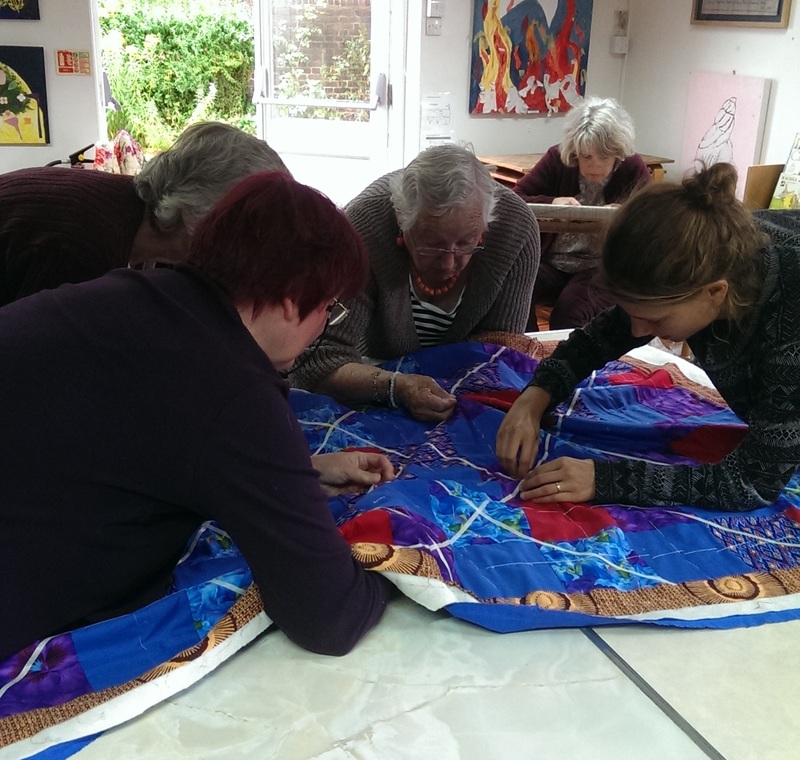 A group of members and attenders meets regularly on Friday afternoons to make quilts to welcome refugees to Lewes district. They are joined by members of Lewes Group in Support of Refugees and Asylum Seekers (LGSRAS) in this project. No prior knowledge is required as this is a skill-sharing exercise. 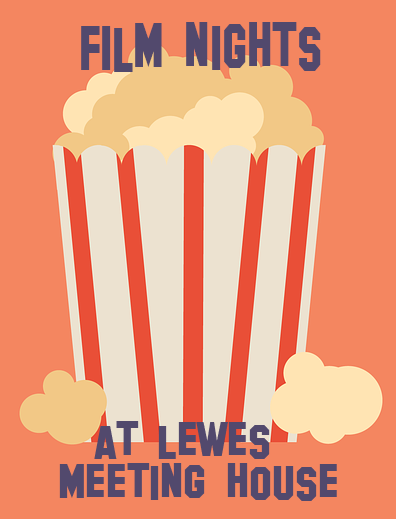 At the moment this project is for members and attenders of Lewes meeting. However, if you would like to participate, or if you have materials or equipment to donate, please do contact us by using the Enquiry Form on this website, and someone will get in touch with you.